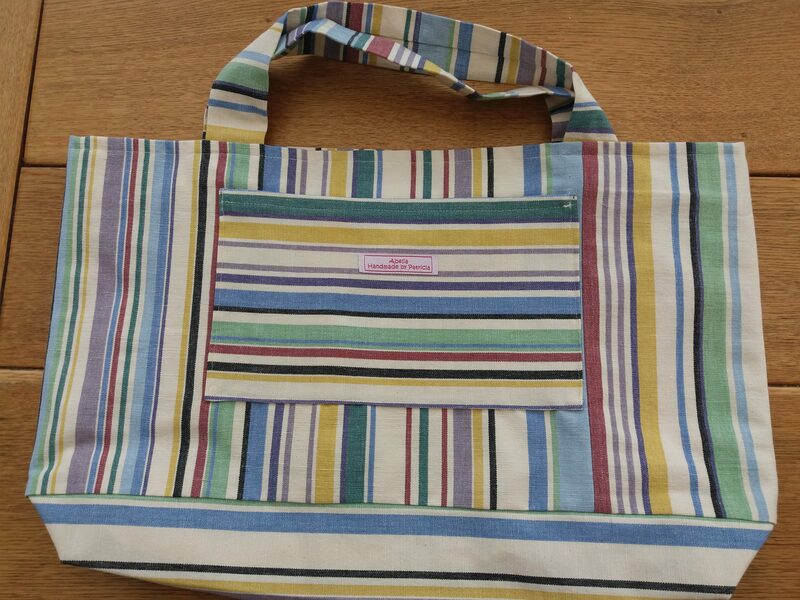 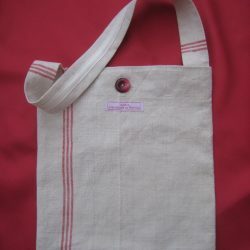 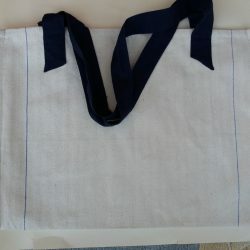 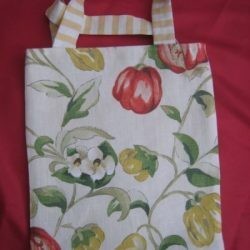 Beach bag in thick linen. 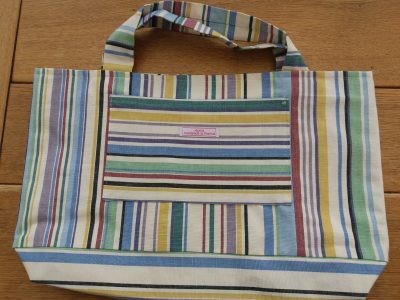 Multi stripes with contrast large front pocket and also inside pocket. 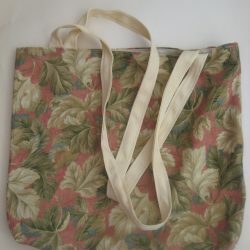 Cream cotton lined.